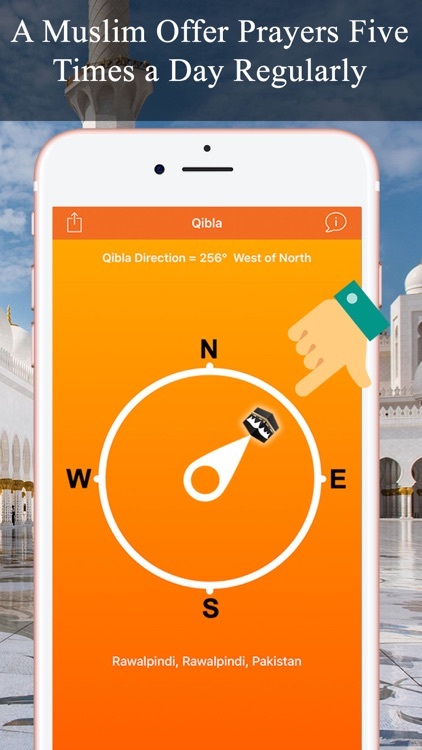 Qibla is the direction that should be faced when a Muslim Prays during salah prayers.This Application accurately find/locate Qibla direction all over the world.It works without any Internet Connection with full working support. 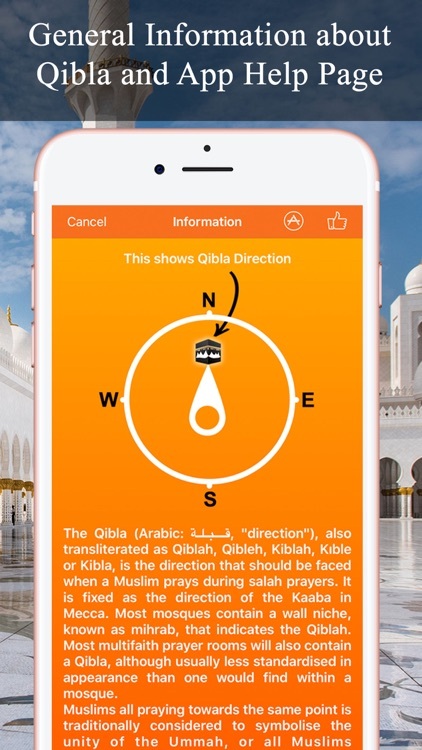 The Qibla (Arabic: قبلة‎‎‎, "direction"), also transliterated as Qiblah, Qibleh, Kiblah, Kıble or Kibla, is the direction that should be faced when a Muslim prays during salah prayers. 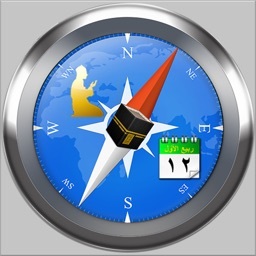 It is fixed as the direction of the Kaaba in Mecca (Saudia Arabia). Most mosques contain a wall niche, known as mihrab, that indicates the Qiblah. 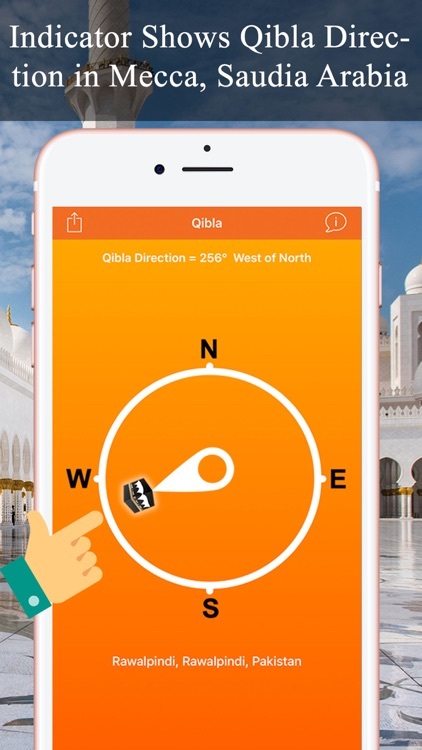 Most multifaith prayer rooms will also contain a Qibla, although usually less standardized in appearance than one would find within a mosque. 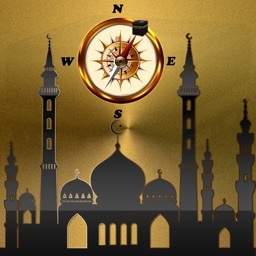 Muslims all praying towards the same point is traditionally considered to symbolize the unity of the Ummah, or all Muslims worldwide, under Sharia (Law of God). 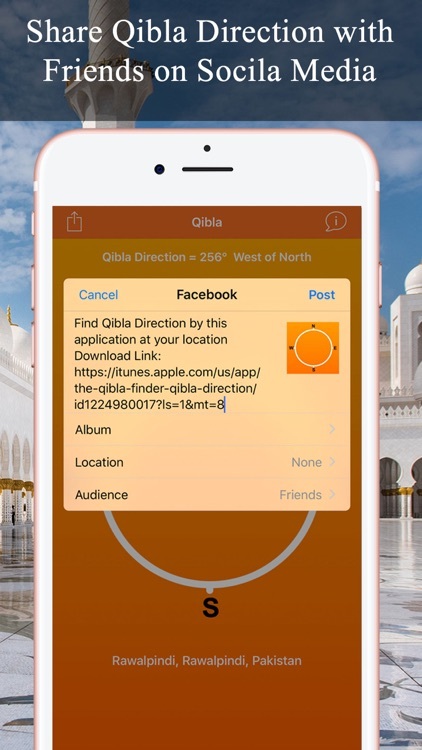 The Qiblah has importance beyond salaat and plays a part in various ceremonies. 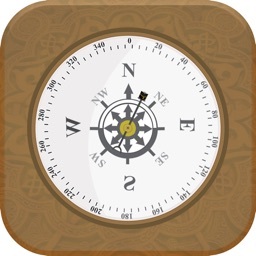 The head of an animal that is slaughtered using halal methods is usually aligned with the Qiblah. 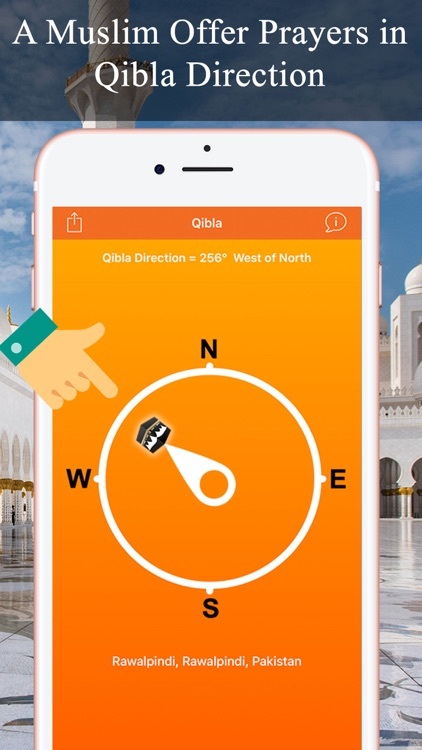 After death, Muslims are usually buried with the body at right angles to the Qibla and the face turned right towards the direction of the Qiblah. 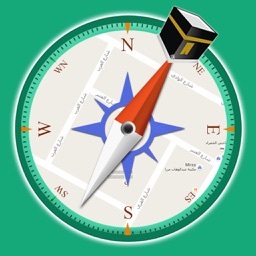 Thus, archaeology can indicate an Islamic necropolis if no other signs are present.